Click Lock installation: an incredibly easy to follow method, these floors are a snap to install. Literally. Simply align your planks, and click into place! Intermediate protection rating: with a wear layer for added protection, these planks can stand up to heavy residential and light commercial foot traffic. The installation was faster and easier than any I had purchased before. Install was easy, and quick. This stuff is great! 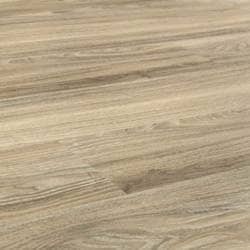 We tried to source the flooring locally as we needed it quickly. Nothing we found at higher prices even came close. Installing this flooring was really easy compared to many other types of flooring I have done (laminate, hardwood, tiles, and vinyl). You do not need a lot of skill when doing this but certain tools are a must and some make things easier. I did the entire basement (concrete subfloor) that also had separate rooms (2500 sq. ft.); I didn't want any floor transitions so the entire thing is connected together which increased its difficulty. I was really happy that there was no construction dust or smell when opening the packaging and installing. You don’t get dirty at all while handling this product. For this installation, I recommend a rubber/plastic mallet, heavy duty flooring installation kit (comes with pull bar, wall spacers [A MUST], and tapping block), flat pry bar (sometimes you mess up and need to pull it out), narrow flat head screw driver (for prying in or out), pliers (for breaking small pieces off), speed square, long straight edge (ie. a long level), tape measure, and a lot of utility knives/blades. Optional depending on installation is an electric jig saw (for unique cuts) and a jamb saw (if you are installing under doors and have low door frames). The instructions were correct for a single room but when you are doing your whole basement that has separate rooms, you realize certain techniques work best. Sometimes you need to work sideways or lengthwise when assembling but overall, it was not hard to do. Make sure you use wall spacers! Otherwise when hammering the pieces together, the entire floor will shift around very easily. Having two people working makes thing go a lot faster especially when you need make a lot of cuts to pieces. Color is pretty accurate to the product picture on the website when in a well-lit room with warm white bulbs (2700k). If it is not well lit, it will have a little browner color to it. The floor feels great on the feet; it doesn’t make your feet feel cold. There is plenty of wood grain texture and you can glide over the floor easily. I have solid hardwood oak floors upstairs and those are completely smooth and much easier to slide around (just for comparison). Only downside to this flooring is the slight hollow sound when stomping that may be a result of using Floor Muffler LVT underlayment. A plus is that the underlayment really dampens the sound transmission! People complimented on everything about it and at first glance, they don't even know it’s not real. The only time you really know is when you start stomping on it and really focus on the pattern (the print repeats itself at some point even if you randomize it). The print is really high quality and even looking up close, you can’t really tell it’s printed from a machine (can’t see pixels or anything). I highly recommend this product if you need to install in a basement that may experience high moisture and floods but do not want to go with tile. It feels and looks great so really you can install it anywhere. 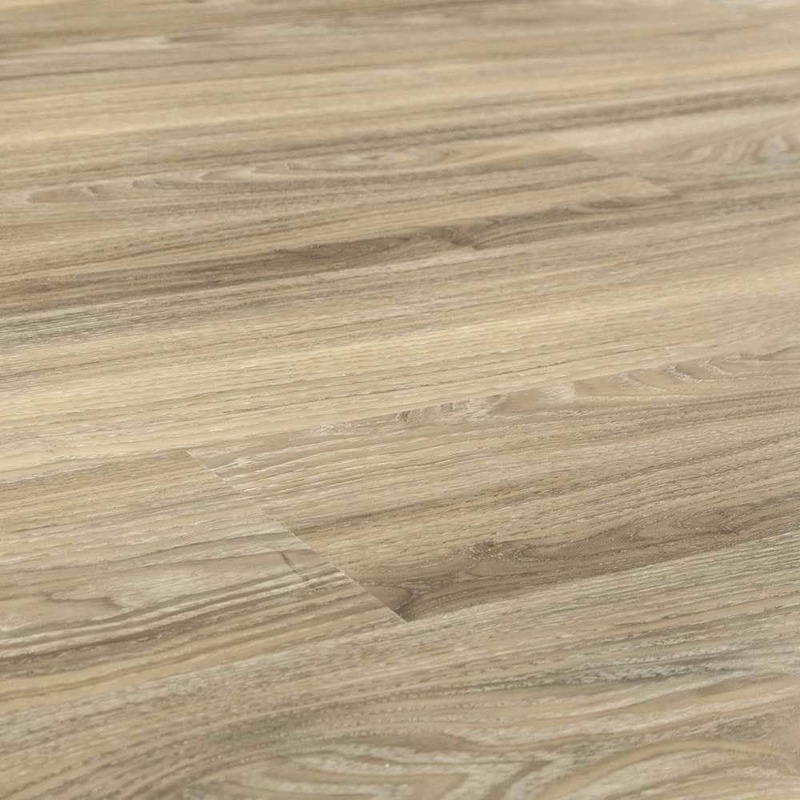 The installation is super easy compared to other flooring types and doesn’t require expensive specialized tools. A great choice for anyone.